Firstly, improving your flexibility will improve your swing mechanics. 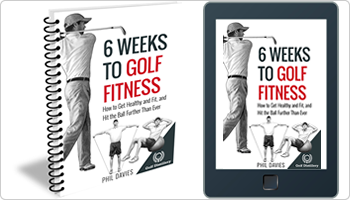 You’ll be able to get your body into key positions that allow you to make a more powerful and more repeatable golf swing. 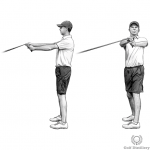 Secondly, a golf stretching program will help you to make a fuller turn in the backswing, which will increase the power and carry of your shots (great flexibility is how relatively small players like Rory McIlroy and Rickie Fowler keep up with bigger and stronger Tour players). 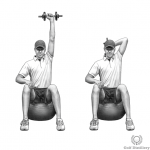 Thirdly, good range of motion can help prevent golf-related injuries and help you recover quicker if you do get injured. 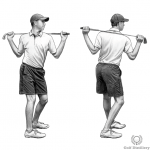 And fourthly, improved flexibility can improve balance and body awareness – both of which can improve the coordiantion and consistency of your swing. 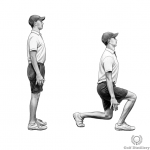 The best time to perform these stretches is immediately after vigorous exercise such as a run or a golf strength workout. However, if you’re going to complete the stretches below at a separate time, then you should spend 5-10 minutes doing some form of activity that raises your heart rate and increases your body temperature. Jogging/marching vigorously on the spot, star jumps and walking up and down a flight of stairs are good examples. Or if you own a piece of cardiovascular exercise equipment (treadmill, Stairmaster, stationary bike etc. ), use that. 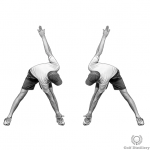 optionally, you can perform some dynamic stretches, which are great for reducing muscle tightness. 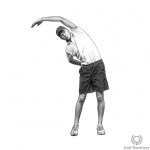 These stretches won’t increase your range of motion long-term, that’s what the golf stretching routine below is for. But they will get you loose so that you get the most from the stretches below. Complete this routine 3-4 x per week. Three stretching sessions per week is enough to increase flexibility, especially if you’re not currently following a stretching program. You can stretch on consecutive days, but ideally try to spread the 3 sessions out across the week. 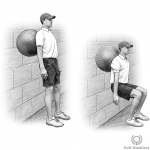 Don’t perform this routine immediately before a game of golf. Instead, follow this golf warm up. Each stretch should be held for approximately 30 seconds and completed twice. If you’re short on time, complete 1 stretch of 30 seconds or 2 stretches of 15 seconds. Move slowly in and out of stretches without jerking or bouncing. You should move into a stretch until the muscle group feels slightly tight. That tightness should diminish as the stretch is held – if it gets tighter, stop the stretch. Remember to breathe as you hold each stretch! Always consult your doctor before starting a new exercise programme and if you suffer from, or have suffered from in the past, any significant injuries or joint problems, please consult a qualified Physical Therapist first. Certain stretches may exacerbate an injury. 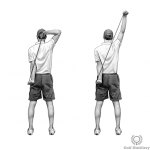 This is by no means an exhaustive list of stretches for golf and ideally we’d add in some additional stretches. 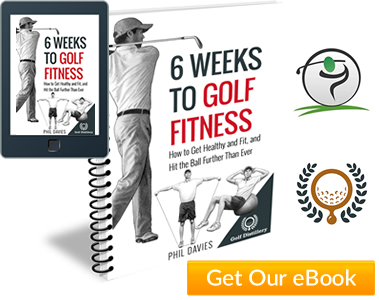 However, this golf stretching program addresses the major areas that will have the greatest impact on your swing. And importantly, it should take no longer than 15 minutes.